planning can make a city attractive to investors and business and bring fresh ideas and perspectives to the city, making us smarter – otherwise known as the agglomeration effect. Good planning has environmental benefits – Planning policies can result in land use patterns that actively encourage public transport patronage and travel by foot or bicycle. Planning controls can require more sustainable buildings, cleaner water and landscapes with more trees. They can also prohibit land uses on sensitive ecological areas. Planning makes transport systems work – We will not succeed in improving public transport and road networks if planners do not have the control to put people and jobs in the right spaces to support this infrastructure and make it feasible. Statistics indicate that Sydney loses approximately $1 billion each year because of congestion, and that is not to mention the environmental impact of congestion. Planning is part of the solution to these problems. Planners help to preserve, protect or interpret historical uses and buildings to tell a story about our past. Planning helps to find a balance between preserving an existing character and allowing a city to take on a new architectural identity and meet emerging needs. 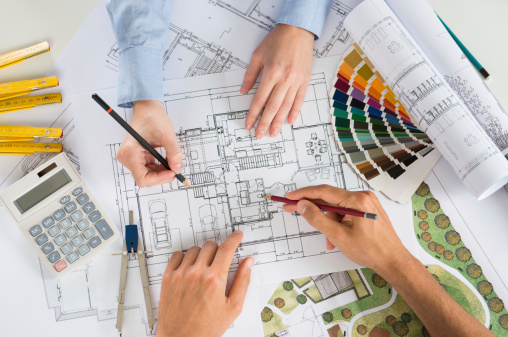 Planning can help to shape buildings that are beautiful and inspire people. Controls can be applied strictly to preserve an area’s agreed, well-established character, or allow buildings to break the rules when a better outcome can be achieved. Planning can improve people’s physical health – For example, environments can be planned that encourage walking, co-locate swimming pools in a business district and provide open space in residential areas for a local cricket or soccer club. Planning can facilitate improved mental health – Planning can make sure that there are quiet places for contemplation in a big city, and busy places that allow isolated people to feel part of a community and offer opportunities for casual interaction. Planning provides safety – Spaces can be planned that provide for natural and regular observation, so that anti-social activity is discouraged and so that people walking at night feel safe. You can also design spaces and houses that make communities stronger and more inclusive. Most importantly, good planning provides an outcome that is truly in the peoples’ and city’s best interest. Planning is not just controls on a page, it involves the coordination of where and how our lives are lived, and with a long-term outcome in mind, not just short-term profit or popularity, or re-election. that a city’s transport systems are functional and get people to the places people need to be at the right times. the city’s culture is strong and it is connected to the rest of the world, people are listening to good and new music, going to museums and enjoying performances at theatres and other venues. What other benefits can you think of? ← Does the zoning of a site create an entitlement to develop?